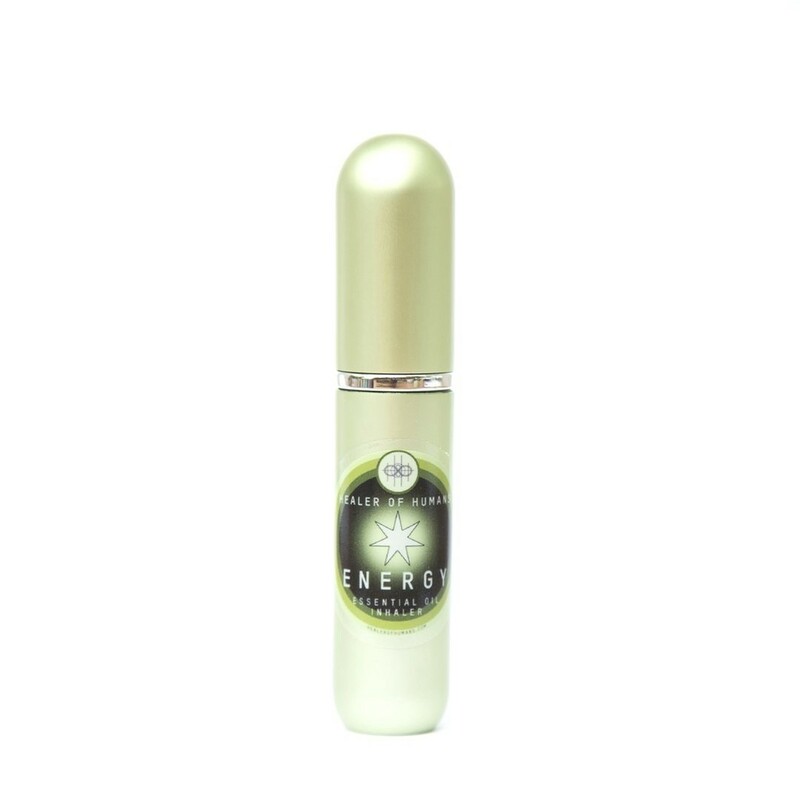 Invigorating Blend Mission: Uplift your mood while energizing your senses* The Energy Inhaler invigorates the senses through a powerful citrus blend. Clears clouded perception and brain fog, as well as easing anxiety. Also offers potent antioxidant protection, immune system support and fights germs. Inhale when you need a boost of mood and energy. * Instructions: Remove the top cap, bring the inhaler close to your nose and intake the therapeutic benefits of essential oils. Details: Ingredients: CPTG Certified Pure Therapeutic Grade® Wild Orange Peel, Lemon Peel, Grapefruit Peel, Mandarin Peel, Bergamot Peel, Tangerine Peel, Clementine Peel essential oils and Vanilla Bean Absolute. Size: 3.5 inches x .75 inches Material: Aluminum outer shell and glass inner container. Cotton wick. Reusable: Your inhaler will last for up to a year. You can later refill with your favorite essential oils and blends. Simply twist the top off the glass bottle and pull the wick 1/4” of the way out with tweezers. Add 15 drops of your chosen oil, then reassemble the inhaler. Shipping: Ships within 3-7 business days *These statements have not been evaluated by the Food and Drug Administration. This product is not intended to diagnose, treat, cure, or prevent any disease.